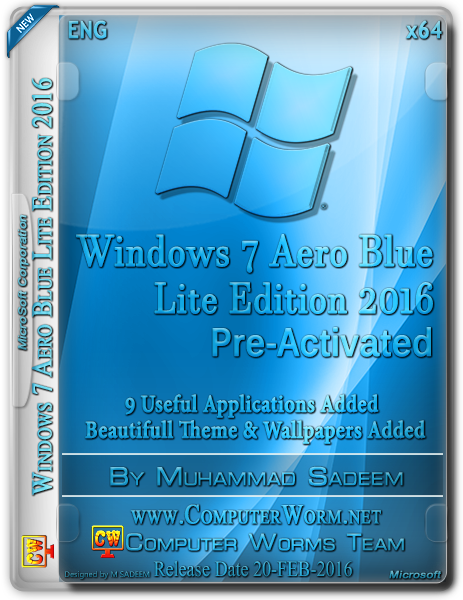 Windows 7 Aero Blue Lite Edition 2016 64-Bit the best Version based on the full version of Ultimate SP1 and the original Microsoft And files were deleted unimportant and unnecessary language packs them Version ships with all features in addition towards the well-known figure pictures que and fascinating themes. Size of the image is reduced to 1060 MB only. Windows ocuppies 2.7GB on fresh install without pagefile.It has Internet Explorer 9 (IE9) integrated with the updates for it until Jun-2012 (old IE8 replaced). It can be updated via Windows Update. All important hotfixes and optional updates work until Jun-2012. • Windows and ships only full Sized 1060 MB Whatever your potential. Compare checksums of the iso file! If they aren’t like ones I posted below someone modified the Image! i’m still using the 32bit one so far so good with the performance but what i really disappointed is i can not read the chinese (can be seen only at file name but can’t read in browser and music player) also korean character.. i have tons of song of them and it now showed only boxes..and unfortunately applied also to this version right? i did everything i could to installing the language packs from windows update to manual install but seem nothing work..
Hey bro , i dont know who you are and what you do for living but , seriously , thanks for your work. Peoples who share content and shows so much passion on what you do are the real guys that makes our world better, please continue with your work. thank you very much! hey bro i am unable to install ms office . i tried 2013 and 2016 version. is there any solution for this ??? Hi, my desktop appearance cannot be changed like how you showed it in youtube. After changing the theme in winrar, what to do next? The appearance is still like using safe mode. Never mind about my question. Problem solved! i just wanted to thank you seriously for your work, this windows aero blue 64 bit version is the greatest and coolest looking OS ive ever used! i just let the installation finish, if you get asked for key, leave empty and continue, the crack which will give the system a valid id and serieal starts automatically! so far so good but a few of problems occured: the first is that i stuck with the installation, when system boots the 1 time after install, and it says: Computer Worms Team – Installing IDM 6.25 Build 12… and its getting not further, only when i close the IDM.exe with the task manager, it seems to continue trough the install of the other programms. 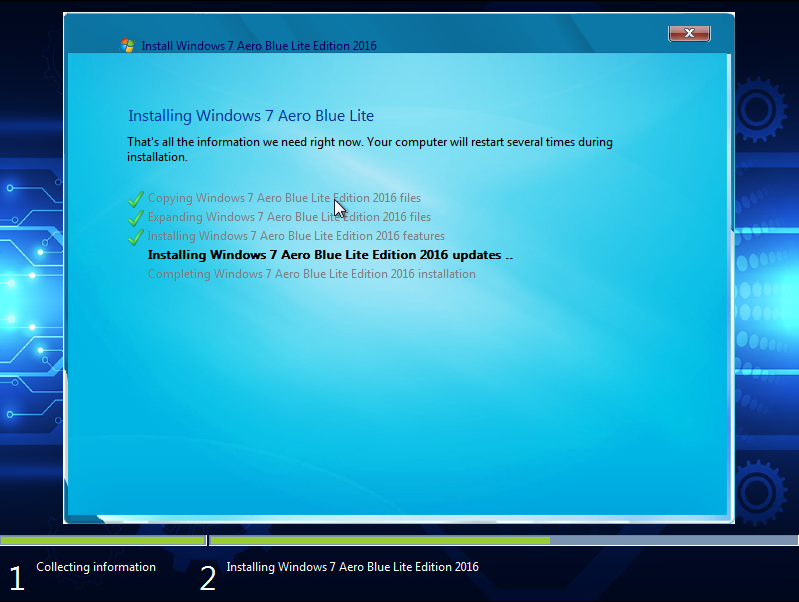 I would like to see a menu after or before the 1st time booting, where I am able to choose, which programms i want and need to install, just like you did it in the aero blue x86 v 2.0 Release, a screen where i can choose what to install and what programm not to install, this would just be super awesome! I searched in web for solution, deleted 2 registry files, just to find myself in front of a non more booting system, so registry restoration was not possible, i even had saved the registry before doing changes..
Do you know how to fix this problem for just cause 2 on aero blue x64/x86? (i havent tried the x86 aero blue regular/ new released v 2.0 version, but i think it is going to give me the same kind of error?! ), because i have a 64 bit system, but maybe i will try, seems that the v 2.0 Release is updated, so that the user is able to choose, which software is wanted to install and can install them or not if ´necessary, the big feature, which i miss in the x64 release. The easiest way would be probably, if you could install just cause 2,and look at it if you getting the same error for yourself and with your understanding of software, i am sure you could find a way to fix this problem, and making just cause 2 able to run on aero blue x64!!. i am exausted, because i installed aero blue for the 2nd time, because i was unable to load up windows again, after deleting 2 registry files, that are known to should fix this error with group policy in regular win 7 and i absolutely lost, just wanted to play just cause 2 without getting program blocked group policy error..
Do you know any help, how to get rid of this error, and how to play just cause 2 on aero blue or maybe is it impossible to run just cause 2 on aero blue system? I am looking foward to every help you or everyone that reads this can possibly give, because so far, nothing has worked for me, trying to run just cause 2 on windows 7 aero blue.. Thank you for your amazing work and please give me a feedback on this issue, even it is a known problem, and it means that it is impossible to play just cause 2 on windows 7 aero blue..
i was using win 10 before i stumble to this OS. i had issue with win 10.
but i am now using this two months now..all the games are playing. my system its supper fast. 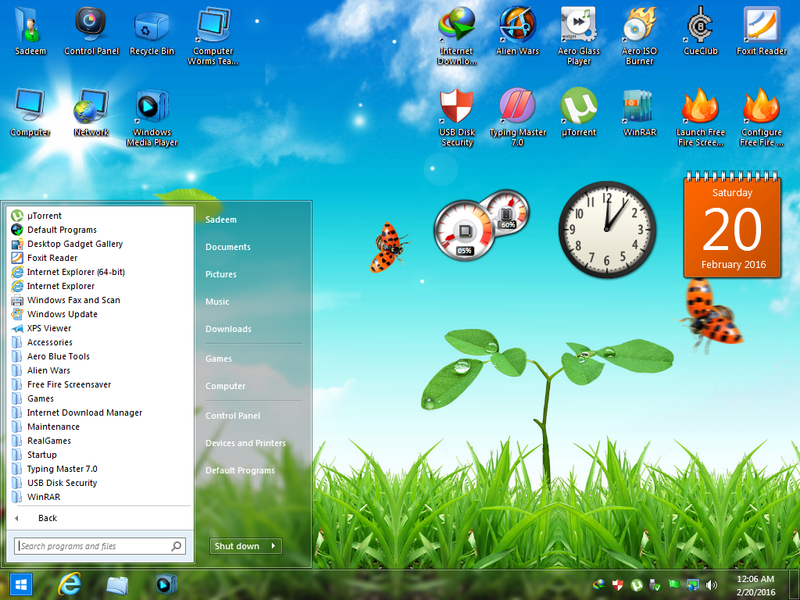 and honestly this is the coolest OS i have ever come across for a while. its awesome. thumbs up.i love it.thanks for sharing.